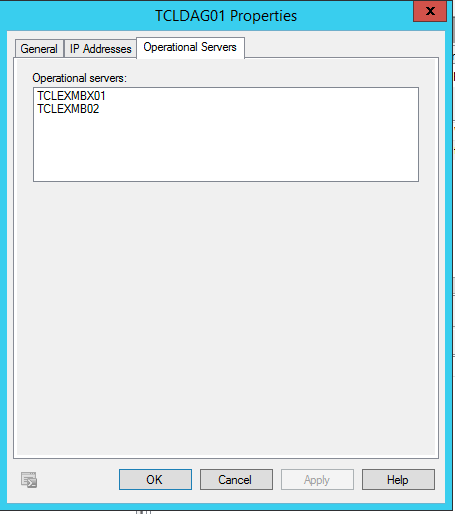 In this post, I will go through the process of creating a DAG in Exchange 2010 SP3. 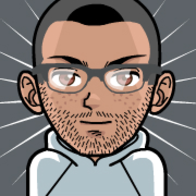 This post will cover the creation of the DAG using Exchange Management Shell. Like any other service the DAG has some pre-requisites that needs to be met. Firstly, let’s go ahead and look at those. 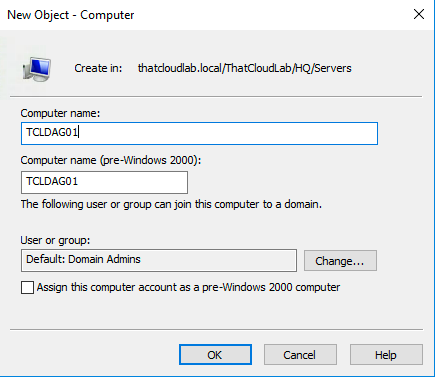 In Active Directory Users and Computers, we need to create a Computer Object for the DAG Cluster and then Disabled the newly created computer account. 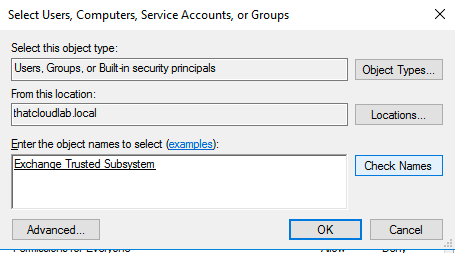 Next, we need to assign permissions to the computer object. 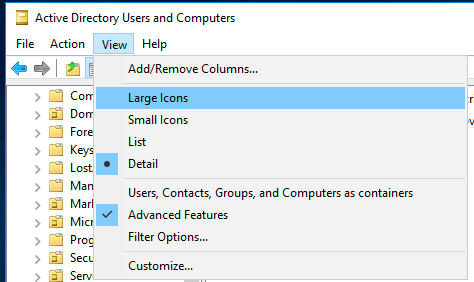 To do this we need to open Active Directory Users and Computers and click View > Select Advanced Features. Now that we have the Pre-requisites completed we can go ahead and start with the DAG setup. 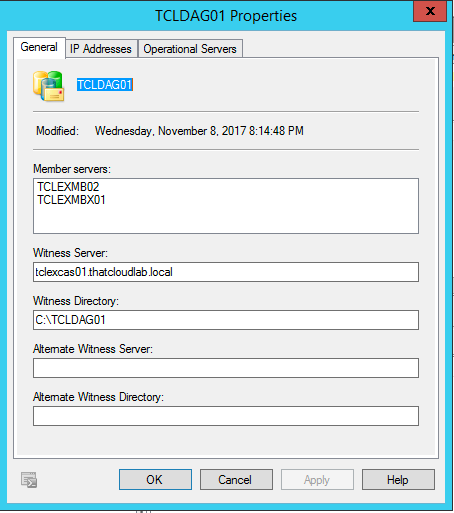 To get started I will run the following cmdlet, this will create a new DAG with TCLEXCAS01 as the witness server and local directory of C:\TCLDAG01 and static IP of 172.18.203.50. 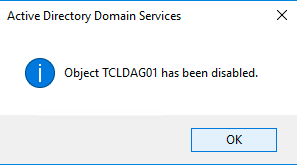 Next, we need to configure the properties of the DAG which we have created now. This can be done using the following cmdlets. To add a member to the DAG the following cmdlets can be used. Let’s go ahead and verify the DAG by running the following cmdlet. 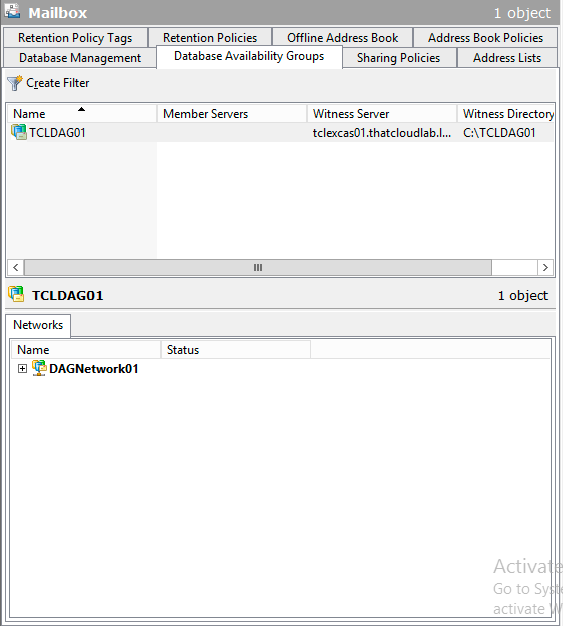 Double click on the DAG Name: TCLDAG01 to view the properties like Member Servers, IP Addresses, Witness Directory, Witness Server and Operational servers. 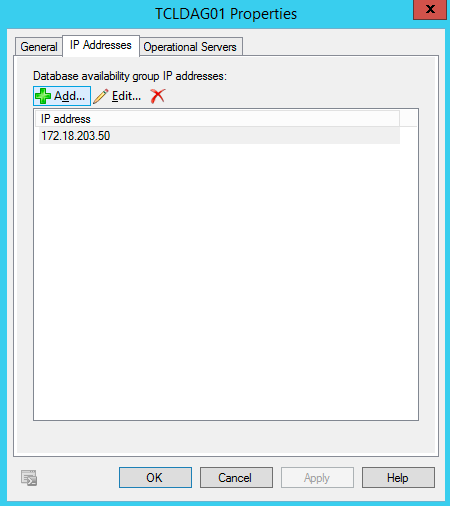 In the next post, I will look at how to add a Mailbox Database to the newly created DAG. 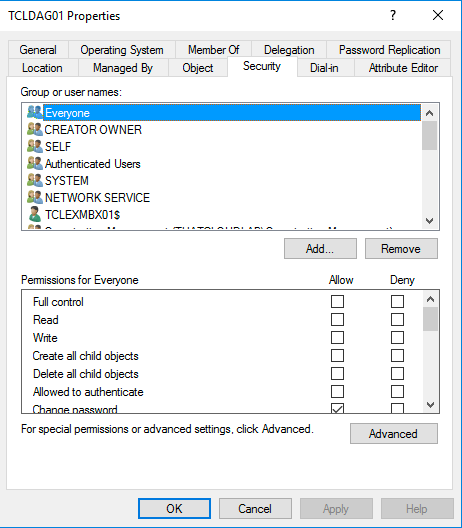 Previous articleConfigure Exchange 2010 Client Access Name Space.